In the early twentieth century, affection between parents and their children was discouraged-psychologists thought it would create needy kids, and doctors thought it would spread infectious disease. It took a revolution in psychology to overturn these beliefs and prove that touch ensures emotional and intellectual health. 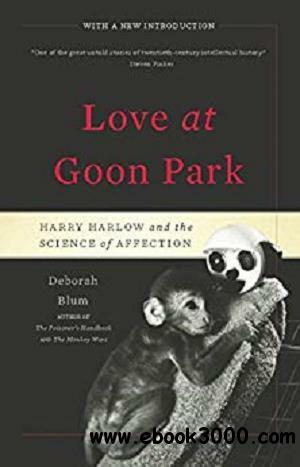 In Love at Goon Park, Pulitzer Prize winner Deborah Blum charts this profound cultural shift by tracing the story of Harry Harlow-the man who studied neglect and its life-altering consequences on primates in his lab. The biography of both a man and an idea, Love at Goon Park ultimately invites us to examine ourselves and the way we love.